Our time in New York afforded us so many amazing photo ops. 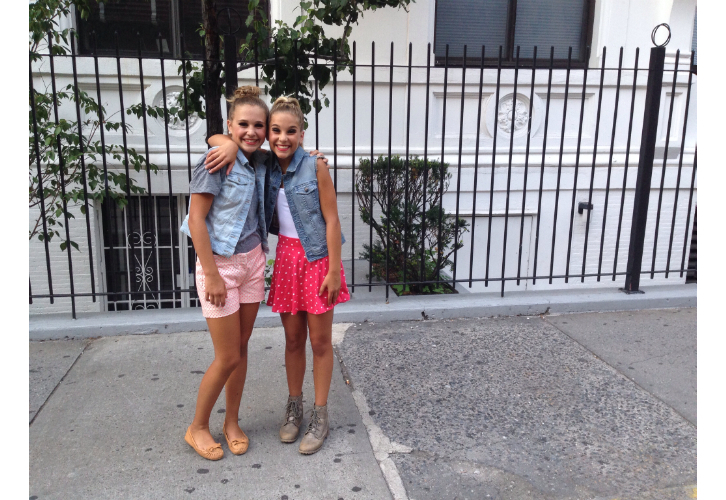 We would be walking down a street and be like…whoaaa…stop….this is the most amazing backdrop! This happened one night on our way to dinner. I couldn’t resist the white buildings and the black wrought iron fence! I asked Dylan and Nina to pose for a few pics and then realized they were both in polka dot bottoms and jean vests….it must be in the genes! I love how cute and age appropriate their outfits are. These two always seem to have fun! They love life and embrace it! And nothing like couzies being besties!